In the first quarter of 2010, Rui Paula returned to his homeland, Oporto, with the opening of the DOP restaurant. The new space is situated in the Palace of the Arts in the historic city center, classified as World Heritage. This building is full of history. It began as the S. Domingos Convent and remained active since the fourteenth century, as a venue for auctions and council meetings. 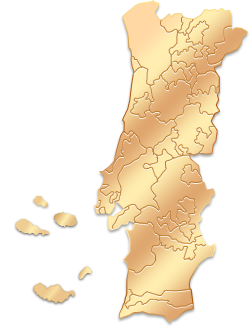 In 1834, served as the headquarters of the Lisbon (later Portugal Bank), and between 1934 and 1989 hosted the Douro Insurance Company. The Palace of Arts, now under the jurisdiction of the Youth Foundation, aims to "establish itself as a center of creativity and innovation of national and international excellence, professionally promoting young designers / artists, and be the dynamic center of the historic center as a cluster of arts and creative industries, enhancing its ability to attract creative professionals and tourism." The concept of the Palace of Arts fits perfectly in the Rui Paula project, who understands the gastronomy field as a creation with a strong cultural component. DOP has been designed to operate as a good taste, space cosmopolitan and yet familiar, and the generator of exciting dining experiences. The restaurant has capacity for 90 people and the space is divided into two floors, allowing the customer a familiar place but at the same time intimate experience. While all space is open, thick buffer walls protect the dining tables from each other, which adds them privacy. It is a concept that allows small groups to join inn small spaces. For larger groups, DOP may offer the great hall of the Palace of Arts, Youth Foundation, the beautiful and imposing building in which it operates. In this case, the menus will be prepared to meet the expectations and objectives of the client. The DOP restaurant is located in Porto. GPS: N 41° 8' 34.07", W 8° 36' 52.75"